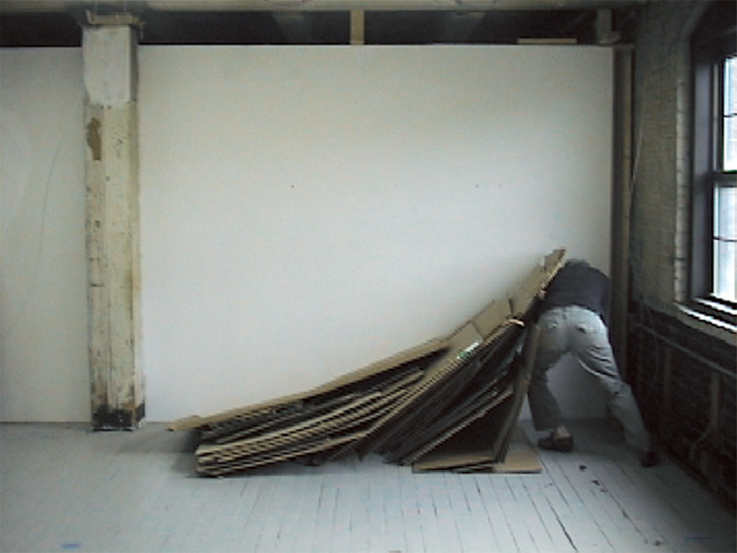 Cardboard Actions is part installation and part performance. I worked with recycled cardboard through a series of simple, unrehearsed tasks or “actions.” Each action resulted in a temporary sculpture which I observed before moving on to the next action. In this work, I am finding sculptural forms, not through direct, intentional design, but as the result of a simple activity and observation of its result.